Shanghai Pdaily Industrial Co., Ltd.
Hangzhou Rena Pet Products Co., Ltd.
Taizhou Haomei Plastic Co., Ltd.
Haiyan Migu Trading Co., Ltd.
Yiwu Haoxie Import And Export Co., Ltd.
Xiamen Wangchongheng Trade Co., Ltd.
Shaoxing Shangyu Jiani Household Products Co., Ltd.
Zhejiang Daily Rise Import and Export Co., Ltd.
Xiamen Chely Industry And Trade Co., Ltd.
Taizhou Bright Plastic Co., Ltd.
Ningbo Semi Import & Export Co., Ltd.
Dongguan Xinmeishang Pet Products Co., Ltd.
Ningbo Haishu Padinuo Industrial & Trading Co., Ltd.
Hangzhou Hongwang Pet Products Co., Ltd.
Ningbo J.E Import & Export Co., Ltd.
Guangzhou Jinchen Internet Technology Co., Ltd.
Suzhou Snowboy Im & Export Trade Co., Ltd.
Yiwu Shuodian Electronic Commerce Co., Ltd.
Suzhou Alleasy-Online Technology Co., Ltd.
Guangzhou FML Pet Products Co., Ltd.
Ningbo Damu Mould Technology Co., Ltd.
Guangdong New Lesson Technology Co., Ltd.
During working time, Email will be replied to you within 2 hours OEM & ODM projects are highly We have strong R&D team . The order will be produced exactly according to order details and proofed samples. Our QC will submit inspection report before shipment Make market analysis to put out new product or upgrade old version Your business relationship with us will be confidential to any third party. Ninghai Dougez Pet Product Co., Ltd. Excellent option for single or multiple pet households. 2. Fast response to all your questions. We want our company to be one stop shop for all sorts of pet needs in the long run. 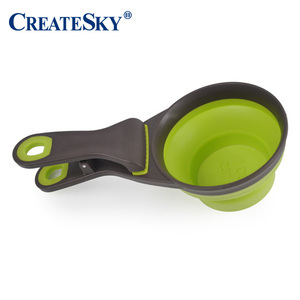 Alibaba.com offers 1,480 pet food spoon products. About 23% of these are pet bowls & feeders, 3% are spoons, and 1% are dinnerware sets. 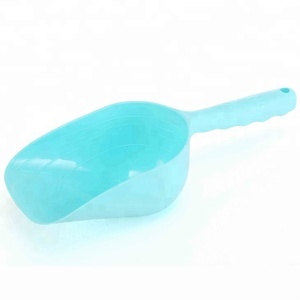 A wide variety of pet food spoon options are available to you, such as dogs, small animals. You can also choose from bowls, cups & pails, food storage, and automatic feeders & waterers. As well as from free samples. There are 1,400 pet food spoon suppliers, mainly located in Asia. The top supplying countries are China (Mainland), Hong Kong, and United States, which supply 98%, 1%, and 1% of pet food spoon respectively. 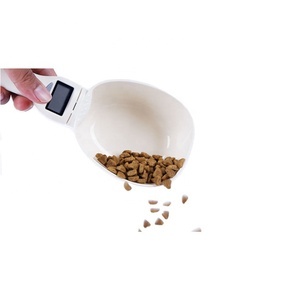 Pet food spoon products are most popular in North America, Western Europe, and Southeast Asia. You can ensure product safety by selecting from certified suppliers, including 203 with ISO9001, 132 with Other, and 33 with BSCI certification.